The recent announcement by Pope Francis to set up a commission to study the question of women deacons takes its wider place in the continuing reception of the Second Vatican Council. One of the strongest arguments for the creation, or ‘restoration’ of women deacons is that they existed in the early church. Such evidence has been uncovered and assembled by a number of scholars, such as the American professor Phyllis Zagano (one of those appointed to the Papal commission to examine the woman’s diaconate.). Another recent issue to surface is the orientation of the priest at Mass. The recent interest was sparked by Cardinal Robert Sarah, Prefect of the Congregation for Divine Worship, who spoke at a conference in London in July exhorting priests to celebrate Mass facing eastwards from Advent of this year. Again, plentiful evidence exists that the common orientation of the early church was indeed facing east, to the direction of Christ’s second coming. Here in my own Archdiocese the Archbishop has recently issued a pastoral letter reverting the order of the sacraments of initiation. Over the last few years children in the Archdiocese have been receiving the sacraments of initiation in the order baptism, confirmation, first holy communion. This sequence again follows historical evidence from the early church. The present Archbishop has, following consultation, decided to revert the sequence to the more commonly 21st sequence of baptism, Eucharist, Confirmation. What each of these three examples have in common is that one of their primary arguments is based on a ‘return to the sources’, a movement made known under the banner of ressourcement. Many of the liturgical reforms of Vatican II were likewise based on this return to the sources, perhaps less on specific issues, but more as an attempt to capture the theological and ecclesiological underpinnings of the early Christian Church. The turn to ressourcement was however balanced by Pope John’s call to ‘open the windows and let fresh air in’ summed up in Italian as aggiornamento. The twin concepts of ressourcement and aggiornamento worked together throughout the conciliar process to revisit the sources of the faith, but at the same time to think about how the modern day church could best express the central tenets of the Christian faith today. As expressed best by Professor Paul Bradshaw, just because evidence exists for something in one locality, doesn’t mean that it was happening in other locations, or at other times. In other words the evidence might suggest the practice in that location at that time (or of course, might not!) but don’t take that to mean that this practice was standard throughout the early Christian world. Cultural issues in today’s society, and how these issues relate. 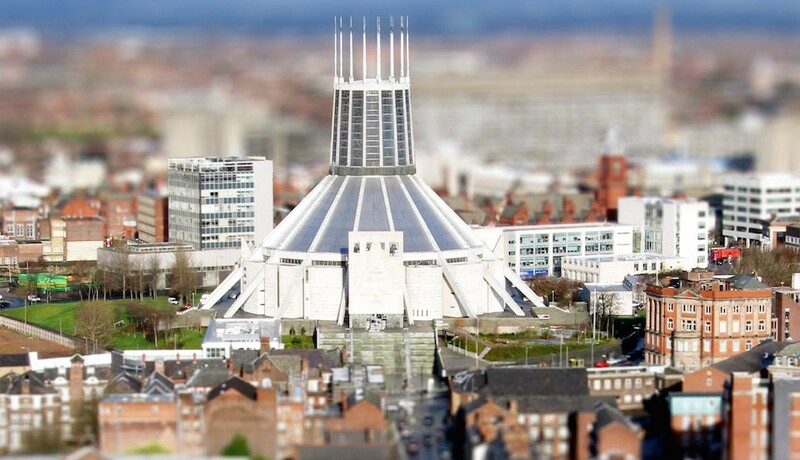 In the initiation sequence, it is clear from the Liverpool example that any historical evidence is being minimalised in deference to the cultural ‘norm’ in today’s church which in many ways sees confirmation as a teenagers opportunity to ‘confirm’ their desire to engage with the faith. Orientation of the priest: the swift ‘blowback’ from Cardinal Nichols and the ‘clarification’ from the Vatican both strongly defending the post conciliar practice of the priest facing the people on theological and cultural grounds makes it clear that again, the issues of today are likely to hold firm over any available historical evidence. In the case of the possibility of women deacons, it is difficult to predict exactly what will happen. Presumably the commission will meet, they will review the historical evidence (as Pope Francis specifically asked them to) and then the Pope will himself make a decision based upon their recommendation. The question will I suspect, once again, be whether the female diaconate is desired today from the theological/ ecclesiological angle and whether it is culturally desired. By Christopher McElroy in Uncategorized on August 10, 2016 . Copyright © 2014 Christopher McElroy.